Please find under my game against him ... and if all of the group accept draw with him I of course will do the same. I am much better in these game and you can see under in the game but I accept the draw ok ? 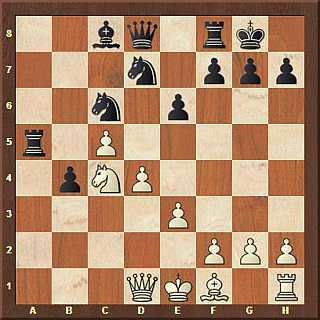 16.Nxa5 Qxa5 17.Bd3 Nxc5 18.Bb1 Ba6 19.f3 Na4 20.Kf2 Nc3 21.Qc2 g6 22.Qb2 Rd8 23.Re1 e5 24.Kg1 exd4 25.exd4 Nxd4 26.Kh1 Nde2 27.Ba2 Nxa2 28.Qa1 b3 29.Rf1 Qd2 30.Qb1 Nac1 31.Qe4 Nc3 32.Qe1 Bxf1 33.Qxd2 Rxd2 34.Kg1 b2 35.h4 Nd3 36.h5 Rxg2+ 37.Kxf1 Re2 and Black win !!! Die Partie ist für Weiß bereits verloren. Da Schwarz aber Remis beantragt und für Weiß keine Aussicht auf Gewinn besteht, kann hier nur dem Antrag auf Remis stattgegeben werden. The game is already lost for White. Since Black but requested draw and for white,there is no prospect of win, the request for the draw will be accepted.